There has been an increase in cancer incidence in the Middle East, said the World Health Organization (WHO), forecasting that the current figures will double by 2030. There has been an increase in cancer incidence in the Middle East, said the World Health Organization (WHO), forecasting that the current figures will double by 2030, with studies citing Saudi Arabia as one of the Middle Eastern countries with the highest prevalence rate of brain tumours. Technological innovations have, for one, the greatest impact on diagnosing and treating brain tumours and other neurological conditions, according to Apollo Hospitals, one of India’s leading super specialty hospitals. “The diagnosis of brain tumours among people of all ages has increased significantly owing to the advancement in medical technology. 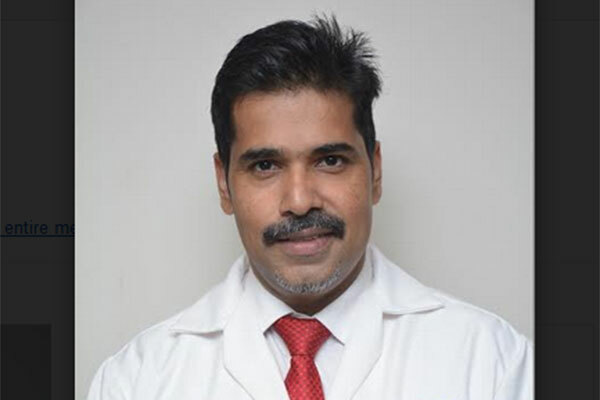 For the same reason, patients with brain tumours and other neurological conditions can now get early diagnosis resulting in superior clinical outcomes with an increasingly better quality of life,” said Dr Sunil Kutty, consultant, neurosurgeon, Apollo Hospitals, Navi Mumbai, India. “At Apollo Hospitals, we have been seeing new and challenging brain tumour cases from the Middle East, who have been receiving excellent care with cutting-edge treatment. We use minimally access brain surgery techniques to diagnose and treat brain tumours and other neurological conditions such as brain tumours, skull base tumours, intracerebral bleeds, hydrocephalus, or fluid build-up in the brain. “Even movement disorders not responding to medications or requiring heavy doses of medications can be managed surgically using small electrodes strategically placed in the brain,” Dr Kutty added. Minimally access brain surgery techniques use specialized endoscopes with high resolution video cameras to perform surgery of the brain. This type of procedure involves making tiny incisions to allow sutureless procedures through the nose to access tumours at the base of the skull or brain compared to traditional brain surgery, which requires removing a part of the skull. Dr Kutty explained that while minimal access brain surgery is not more or less risky than traditional surgery, it offers more benefits than open surgery, especially in terms of making a patient’s life easier and more secure. The advantages include a better quality of life through faster recovery and less scarring. “Additionally, the prospect of undergoing a surgery, which involves only a small opening or no obvious opening, is mentally more acceptable to a patient who is already traumatized and scared of an impending brain surgery,” he added. In the case of hydrocephalus, meanwhile, approximately 70-80 per cent of eligible patients are successfully treated via minimally access neurosurgery at Apollo Hospitals, Navi Mumbai.